Combilift has been nominated as a finalist for the 2019 IFOY Award (International Intralogistics and Forklift Truck of the Year), one of 15 products selected from a large pool of applicants for the international honor. The company’s submission, the Combi-PPT powered pallet truck with 8000-kg capacity, is one of three products shortlisted by the jury in the Warehouse Truck category. The Combi-PPT, a pedestrian-operated powered pallet truck available in a range of capacities to 16,000 kg, enables safe and secure transportation of heavy loads without the need for a ride-on forklift, and its maneuverability enables productive operation in confined spaces. 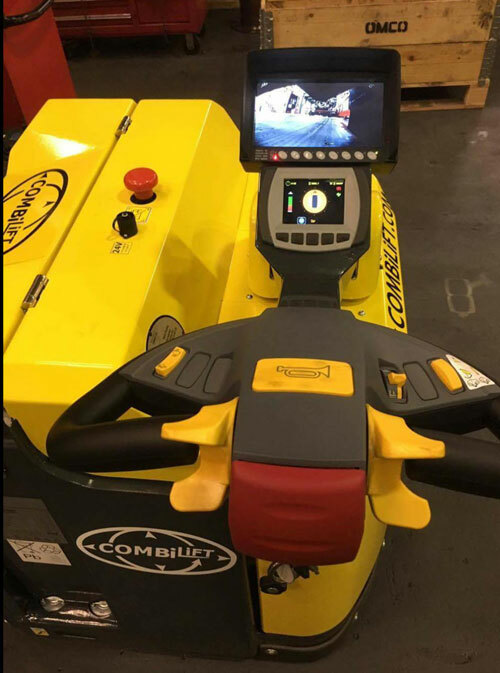 The truck’s design and features, including Combilift’s patented multi-position tiller arm (pictured), ensure optimum operator visibility of the load and surroundings, and enable safe operation in areas where other personnel may be present, according to company officials. in busy production plants for example.